Secret Science Club is heading to Symphony Space for another special event! Say hello to your little friends—all 100 trillion of them. Each of us harbors about 1,000 microbial species in our noses, mouths, and guts & on our skin. Together, they weigh an astonishing 2 to 6 pounds. If you’re worried about the aliens within, don’t be. A torrent of new medical and genetic research shows that your microbiome is essential to your survival. These itty-bitty bugs help you metabolize food and build your immune system. They make vitamins and protect you from getting sick. -- how obesity, asthma, diabetes, and even mood swings may be linked to changes in our microbiota. 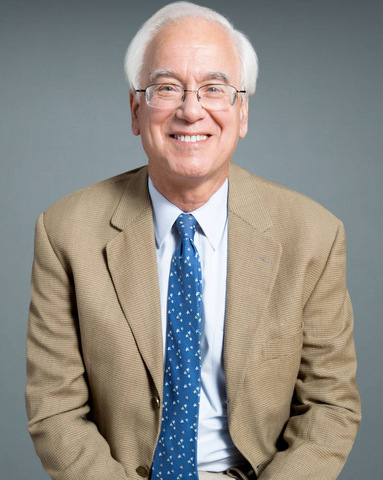 Martin Blaser is the Muriel and George Singer Professor of Translational Medicine, Professor of Microbiology, and Director of the Human Microbiome Program at the NYU School of Medicine. At the forefront of new research on the jungle of microorganisms inside us, he researches the relationship of the human microbiome with health and is the author of more than 500 scientific papers. In 2015, he was named one of Time Magazine’s 100 Most Influential People, and his work has been featured on the Daily Show, CNN, and NPR, and in the New Yorker, Washington Post, and New York Times. Dr. Blaser is the author of the award-winning book Missing Microbes: How the Overuse of Antibiotics Is Fueling Our Modern Plagues. He serves as chair of the Presidential Advisory Council for Combating Antibiotic-Resistant Bacteria. Get t$15 tickets for Martin Blaser here with code SECRET15 and enter the code at checkout. You can also use the code at the Symphony Space box office (call 212.864.5400 or visit in person). This special edition of Secret Science Club North meets Tuesday, May 16, 8PM @ Symphony Space, 2537 Broadway @ 95th St in Manhattan. Subway: 1, 2, or 3 to 96th Street. Doors open at 7:30pm. This is an all-ages event. We urge everyone to come out! --Stand up for science and evidence-based policy! --Celebrate inquiry, exploration, and curiosity! --Speak up for the importance of critical thinking & science education! Express yourself with signs, slogans, art, photography, costumes, or just your presence. Whatever you do, bring your smart self. Science on! All the details on the “March for Science NYC” can be found here. Info on the Washington march and other satellite marches is here. The “March for Science NYC” starts at 10:30am, Saturday, 4/22, with a rally at Central Park West and 62nd Street in Manhattan. The march begins at 11:30am with the route heading from Central Park West @ 71st Street down to Columbus Circle and then on to Broadway @ 51st Street. Secret Science Club presents Mathematical Physicist Robbert Dijkgraaf, Monday, April 17, 8 PM @ the Bell House, FREE! Count down the seconds to the next Secret Science Club when we explore “Black Holes & the End of Space and Time” with Physicist Robbert Dijkgraaf! Einstein’s theory of relativity showed that gravity and the evolution of the cosmos can be understood through the geometry of space and time. But some of the most dramatic predictions of that theory, such as black holes and the Big Bang, challenge that idea. When combined with quantum mechanics, the solution points to a deeper underlying description of reality where space and time are . . . but an illusion. Did the Big Bang create time? Do space and time switch places inside a black hole? And that’s not all! Robbert Dijkgraaf examines how the strangest, deepest questions about the nature of the Universe sometimes yield the most unexpected and practical solutions to human problems. In a just-reissued reprise of one of the seminal arguments for the importance of basic scientific research, Dr. Dijkgraaf celebrates The Usefulness of Useless Knowledge. 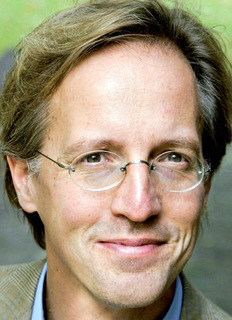 Robbert Dijkgraaf is professor of physics and director of the Institute for Advanced Study in Princeton. His research focuses on string theory and the interface between mathematics and particle physics. The former president of the Royal Netherlands Academy of Arts and Sciences, he is a recipient of the Spinoza Prize, the highest scientific award in the Netherlands. A popular TV presenter, he starred in the science show Hoe?Zo! and gives frequent public talks. 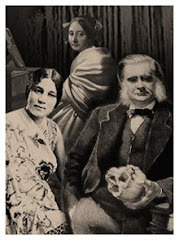 This timeless edition of the Secret Science Club meets Monday, April 17, 2017, 8pm @ the Bell House, 149 7th St. (between 2nd and 3rd avenues) in Gowanus, Brooklyn. Subway: F or G to 4th Ave; R to 9th St.